At the Moscow Trials of 1937 and 1938, some of Leon Trotsky’s followers accused Trotsky of secretly conspiring with Nazi Germany and fascist Japan. Since Nikita Khrushchev’s “Secret Speech” of 1956 attacking Stalin, these charges have been routinely dismissed as false by Soviet, Russian, and Western historians. 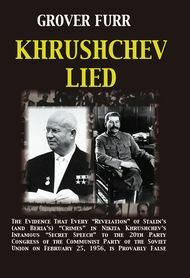 But we know now that Khrushchev was lying! 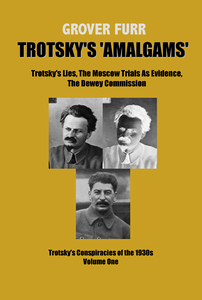 Grover Furr asks the question: What is the evidence that Trotsky conspired with the Germans and Japanese? How should this evidence be analyzed and interpreted? In this book, Furr conducts an expert, objective study of the evidence. 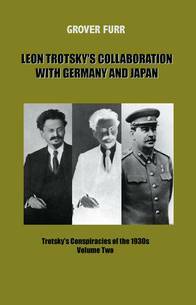 He concludes that Trotsky did indeed collaborate with the Germans and Japanese. The proof that Trotsky was guilty of collaboration with the Nazis and Japanese dramatically changes our understanding of Soviet history of the 1930s and of Joseph Stalin’s role. Note: Books are shipped via the United States Postal Service at the lowest rate available. Please review our notice regarding shipping before ordering. Grover Furr began studying Russian language and literature as a teenager and became interested in Soviet history about a decade later. 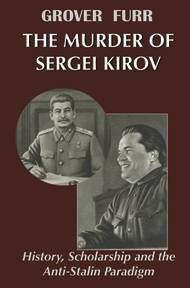 He has conducted extensive research on the Stalin period of Soviet history, on and off since the 1970s, and intensely for the past decade. To read his research, as well as interviews in which he explains his research more thoroughly, visit his home page. Furr teaches in the English Department at Montclair State University. He has a Ph.D. in Medieval Comparative Literature from Princeton University.